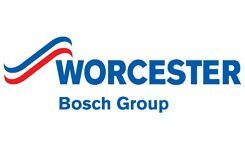 Worcester Boilers have been making a considerable name for themselves in the wider UK heating and boiler industry since the mid-90s, and have since ascended the ranks to stand alongside some of the larger, longstanding British heating brands. Plumbing on Tap Brighton are more than happy to stock Worcester products due to the company’s dedication to efficiency, effectiveness and customer satisfaction in all of their heating sytems. For the most part, Plumbing on Tap Brighton’s Worcester boiler range has consisted of combi boilers of various outputs, sizes and styles; however with the Worcester Greenstar System Boiler, Brighton households are being given some diversity in choice. The Worcester Greenstar System Boiler range incorporates the Greenstar 30i, 27i, 24i, 18i, 15i and 12i systems, all of which possess a noticeable energy and cost efficiency for Brighton homes of all sizes. With the Greenstari System boiler range, Worcester has tried to refine the classic system boiler mechanics and scale it down to a more palatable size and design for the modern Sussex home. Although system boilers run the risk of being less efficient if not used correctly (due to the fact that they work by keeping a reservoir of water warm, and then reheat it when necessary); for larger households, or homes that are energy conscious, they can be just as effective and affordable as a combi boiler. Additionally, the Worcester Greenstari System Boiler is small and compact enough for installation in small kitchen cupboards or cramped spaces, out of eyesight. Are you finding your monthly heating bills to be far higher than you’d expect or can realistically manage? Are you concerned about the efficiency and safety of your older, long standing home heating system? Then it might be time to look out a Brighton based Worcester Greenstar System Boiler installation service, like that offered by Plumbing on Tap. As one of Sussex’s most popular and reliable providers of all things domestic heating, we go to great lengths to ensure customer satisfaction and accessibility. It’s with this in mind that all Plumbing on Tap installation engineers operate 364 days out of the year, and deliver a consistently reliable, effective and quick service. It’s important to note that the ideal time for upgrading your current home heating system or installing something completely new altogether is not always characterised by age. The boiler operating in your home, right now, may only be a year or two old, with all of the modern home heating bells and whistles – but that doesn’t mean that it is naturally safe from the inefficiency or faults that can find their way into older models. 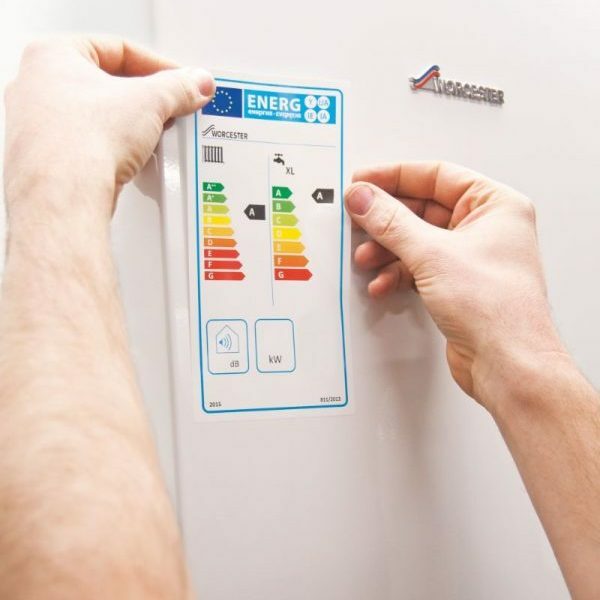 It’s always worth considering installing a new system for your home, to avoid unnoticed inefficiency taking hold – perhaps you could benefit from a Sussex based Worcester Greenstar System Boiler installation or upgrade, this year? If so, get in touch with Plumbing on Tap Brighton as soon as possible to organise a schedule. All boiler brands and models installed with Plumbing on Tap Brighton come complete with the manufacturer’s offered warranty, from the date of installation onwards, giving you that extra degree of peace of mind. However, many prominent UK heating manufacturers will not honour their warranty guarantees if the customer has failed to keep up to date with regular, professional boiler servicing and maintenance check-ups. As with any piece of heavy machinery, or expensive equipment, it always pays off in the long run to have it regularly serviced and examined – not only for financial reasons, but safety as well. With Plumbing on Tap Brighton, your Worcester Greenstar System Boiler can be serviced for an unrivalled price by one of many consummate, dedicated maintenance professionals. Not only that, but Plumbing on Tap Brighton will not be beaten on service speed, either. The average time for one of our maintenance men or women to complete a full maintenance check-up on your system comes in at somewhere between an hour and an hour and a half. Although, of course, this is all just an estimate and completely dependent on how accessible your boiler system is, how long it’s been since your last service (i.e. how much work needs done) and your location with regard to the engineer at the time of call-out. All Worcester Greenstar System Boilers undergoing maintenance or servicing throughout Brighton will receive the same Plumbing on Tap treatment: a full, detailed eighteen stage examination of the entire system as well as a complementary check on any gas fire ranges installed in the household. Of course, this promise of valuable maintenance work applies to all boiler manufacturers and ranges on offer with Plumbing on Tap Brighton, so get in touch today if your system needs its ‘MOT’! For any, and all, issues that are beyond a simple service (such as low water pressure, lack of heating throughout the home, a failing pilot light), Plumbing on Tap Brighton are on hand to deliver a full, dedicated and professional repair service. In the interests of open communication to our customers, here at Plumbing on Tap Brighton, all Worcester Greenstar System Boiler repairs (and other brands) will come with a call-out base charge of £65 inc. VAT. This costing does not include any extra hidden fees, nor does it warrant further repairs in the future, or replacement part delays. That being said, it does promise you that the Plumbing on Tap repair man or woman will attempt, in earnest, to fully repair the problem within an hour of arriving and examining your system. In another bid to save our engineers time and our customers money; the Plumbing on Tap Brighton repair staff all drive vans which are fully stocked with a huge range of equipment, tools and replacement parts, meaning they are prepared for just about every eventuality. For any repairs, emergency or otherwise, throughout the Sussex area pertaining to the Worcester Greenstar System Boiler, Plumbing on Tap Brighton are your best bet! Plumbing Ontap offers Worcester Bosch Greenstar System Boilers services in Brighton, which is located in South East England, and a large town in the county of East Sussex. Brighton was previously named Brighthelmstone. Hollingdean, Hove, Mile Oak, Moulsecoomb and Hollingbury are also part of Plumbing Ontap’s Worcester Bosch Greenstar System Boilers service area in the City of Brighton and Hove. Last in order of mention, Plumbing Ontap’s Worcester Bosch Greenstar System Boilers services cover the Brighton Municipality along with Stanmer, Bear Road area and Brighton Marina. Preston Park, Brighton and Queen’s Park, Brighton are enjoyed by residents and known through out England. The City of Brighton and Hove is bordered to the West, by Lancing, Littlehampton, Shoreham, Sompting, Southwick and Worthing.